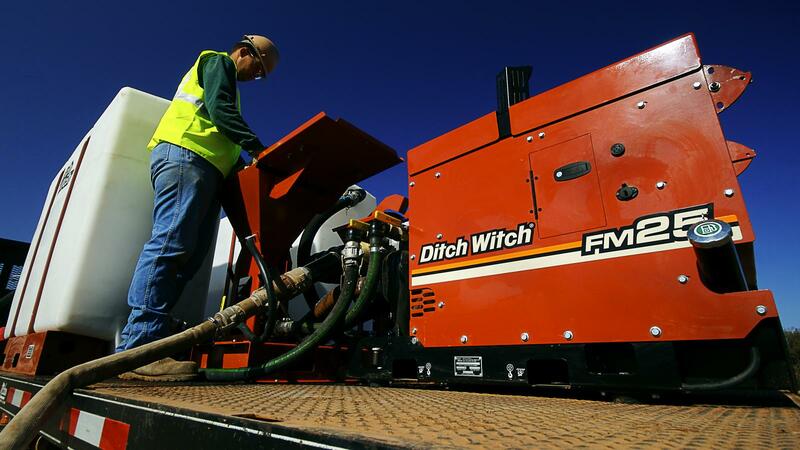 25-hp (18.7-kW) Kubota® diesel engine provides the power to support even the largest Ditch Witch directional drilling systems. 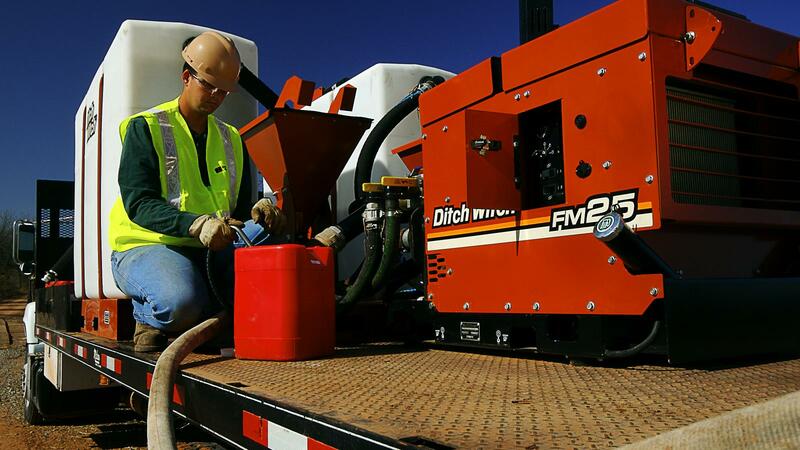 Choice of one or two hoppers, either a 500-gallon (1893-L) or 1,000-gallon (3785-L) tank, and a fuel fill on both sides, allows flexible setup configurations on a trailer or truck. Optional accessories, including an anti-siphon tank fill and an umbrella kit, enhance the FM25's versatility.